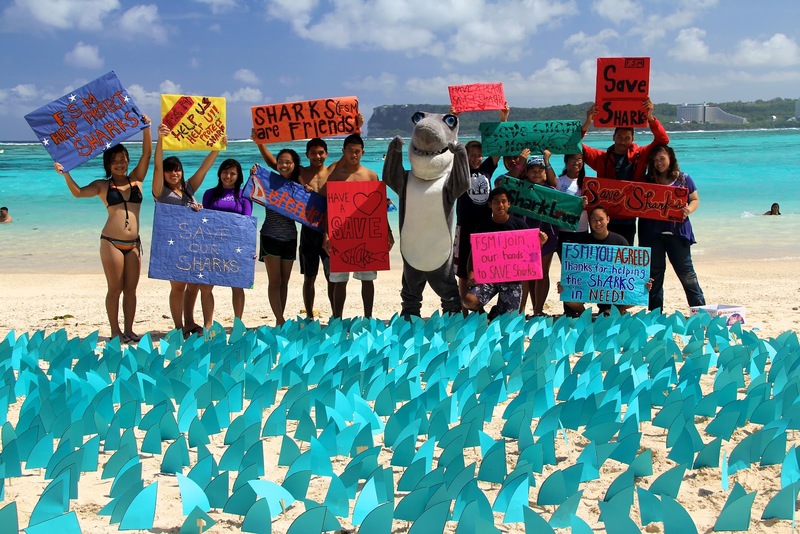 Two hundred and fifty thousands sharks have been caught by longline fishing vessels in the Northwestern Hawaiian Islands in the last 25 years -- about 10,000 sharks per year. A smaller, but not insignificant number of seabirds, turtles, whales, and dolphins are also caught as "bycatch." Bycatch are animals that are caught when you are fishing for something else, in the case of Hawaii, the fishermen are targeting bigeye tuna. Some of the bycatch has value, like other species of tuna or mahi mahi, but many species are protected or have no economic value and have to be thrown back in the water, even if they are dead or dying. 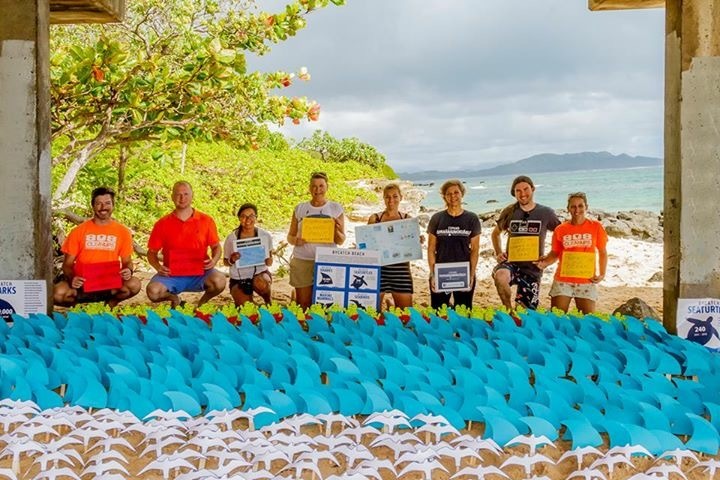 In an attempt to highlight the threat of bycatch to otherwise protected or managed ecosystems, several conservationists in Hawaii including members of 808 cleanups, put together an art project called "Bycatch Beach." 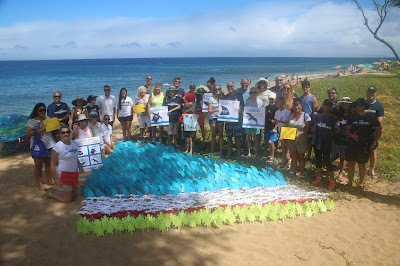 They cut out silhouettes of some of the species caught as bycatch in Hawaii and displayed them to represent the amounts based on data from the government. 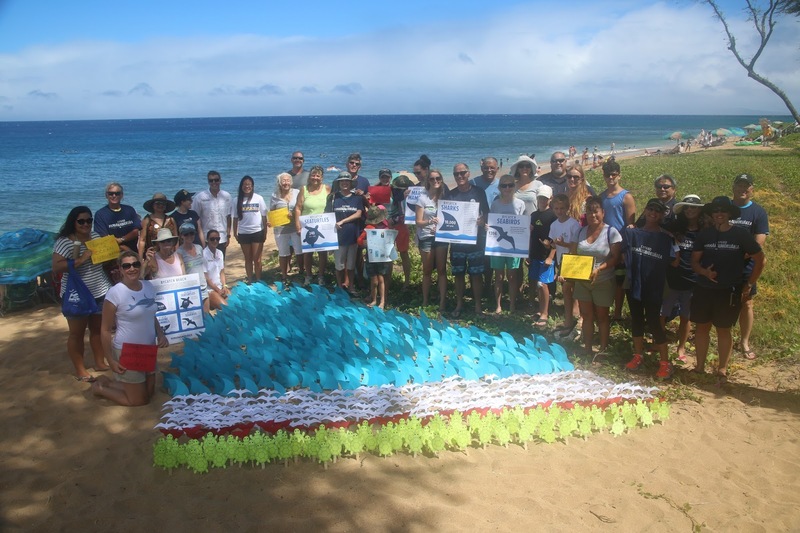 Bycatch Beach has been displayed in Oahu and Maui, with plans for more displays in coming weeks. Do you want to do something similar with your club, organization, or classroom? This is a really fun, easy to do project that is visually compelling. We don't want to give you too many instructions (it's an art project after all), but all you need to do is make silhouettes on colored paper (photocopies are going to be your friend), cut them out, tape or glue them to popsicle sticks, and then find an interesting place to stick them in the ground. In Hawaii, that's the beach! 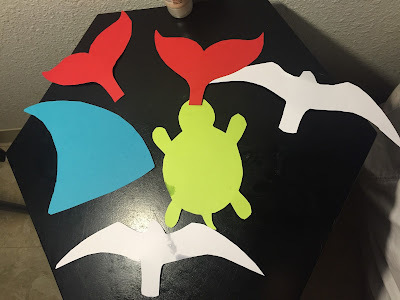 Bycatch Beach cutouts. It's really simple! If you are doing this with a class, the students should spend some time learning about bycatch, what species are affected, and how much occurs in your country. For the United States, all bycatch data is available on the NOAA website. If you live somewhere else, you could contact your government, or simply use global data. For example, 100 million sharks are killed each year. Have fun! And if you decide to try this project out, take lots of photos and please tag us on Twitter!